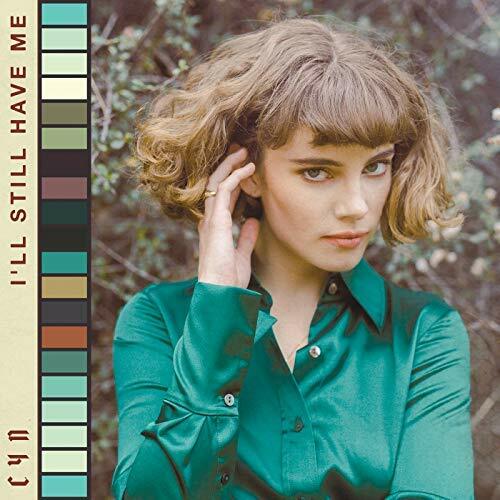 Serving as a sincere proclamation of self-love, CYN’s “I’ll Still Have Me” explores the aftermath of a failed relationship with a performance that is both haunting and beautiful. Michigan-born pop artist Cynthia Nabozny has had dreams of grandeur for some time, often viewing cities as nothing more than playgrounds and each day of her life as a new, big adventure. One of those adventures ended up landing her a spot at Unsub Records where she took the tongue-in-cheek stage name CYN. Through the numerous singles she has dropped since 2017, CYN has showcased an ineffable talent that stuns and one that easily cements her as an artist to watch. With “I’ll Still Have Me,” CYN showcases exactly why she is someone to look out for. With its stripped-back melodies, CYN’s mellifluous voice takes center stage, one that can leave a room with an awe-induced silence lasting for hours. Throughout the track, sprinkles of string arrangements enter the mix to add an additional texture that aids in winding up the emotional punch the song delivers. Throughout the sorrowful ballad, CYN reminisces about past decisions and ways she handled her relationship with lyrics like “I never thought twice ‘cause you were my number one/I put you first ‘cause you were my only thought.” Each word in the track has a purpose, making for a passionate and honest pouring of emotions. Yet despite the somber tone and rhythms, hope shines through until the very last second of the song. Audibly, “I’ll Still Have Me” haunts listeners in the most beautiful way, and visually one would be hard-pressed not to feel the tear ducts acting up. The music video begins with pairs of the elderly as they discuss their treasured loves. After all, who better to divulge into the confusing, blissful world of love than those who have lived through each of its stages? After they give their insight, the video takes the viewer into a community center where CYN takes the stage. As she begins singing, one particular woman is given attention. As the rest of the individuals dance with their partners, she sits alone. Viewers soon see her prepare herself for the evening earlier in the day where she softly kisses a photo of her beloved, which is implied has passed. As is the theme of the tune, the lone woman is not filled with hurt but is rather living to the fullest while gracefully swaying to the beat. At the video’s end, CYN sends off the viewers with a smile, but a faint tear can be made out as the screen dims. It’s not an easy path to venture down, but that shouldn’t stop anyone from attempting. Find sanctuary in yourself, focus on what’s ahead, and know that the hurt taking place is nothing more than an onerous, but ephemeral, part of the process. Unfettered from the restraints of heartache, CYN has crafted a piece of music that seduces the ear and warms the heart with its perfect blend of somber and sweet while avoiding the saccharin pitfalls other artists and tracks have fallen into. For someone still so early in their career, she has already proven to be a titan in the industry. As we at Atwood Magazine eagerly await her debut, one thing is for certain: it will be worth the wait.